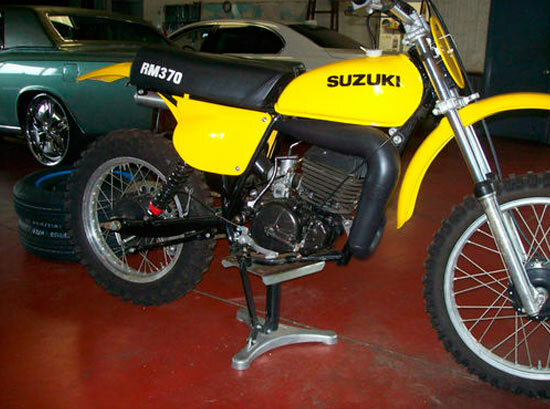 This is a very nice restored rm 370. It has pfg proform pipe,new metzeler tires. I have narowerd bars on it now because i was going to ride hare scrambles but this bike is to nice. Ihave new moose yellow bark busters & new yellow grips [scott]. And a used 36 mm mikuni carb that go with it. The pipe has been ceramic coated & forks with doubble seals. This bike runs & rides as good as it looks. Also new hand leavers. It was restored by Russel T Green of West Va. in 2007.